GM soy monocultures ravages on health and biodiversity mobilize numerous semi-rural communities but this harmful production, at the core of Argentinean economy, remains hard to challenge. In 1996 a particular variety of transgenic soy was introduced in Argentina. Marketed as Round Up Ready soy (RR), it was genetically modified to resist Round Up, a potent glyphosate-based herbicide. The North American multinational company Monsanto, a specialist in agricultural biotechnology and seeds and the worldwide leader in GM food production, produce both the RR soy and herbicide. Originally produced in the region of Pampa Humeda, covering the provinces of Santa, Fe, La Pampa, Buenos Aires and Cordoba, the soya monocultures expanded to the Northwest regions (Salta, Tucumán, Jujuy) and to the North East (Chaco, Formosa), reinforcing the poverty and social injustices deep-rooted in the North of Argentina. 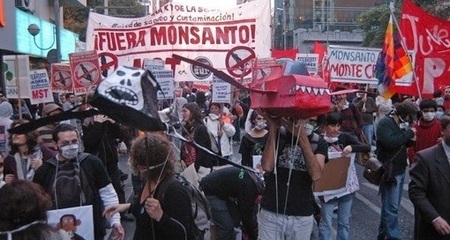 Monsanto’s production of RR soy, which today covers over 17 million hectares of land in Argentina, has caused several environmental and social problems such as the reduction of food production for domestic markets, the displacement of peasants from the countryside, massive use of highly poisonous agrotoxins spread by aerial spraying (polluting water supplies and surrounding lands) and widespread deforestation, which goes hand in hand with the expulsion of indigenous communities from their ancestral lands. The consequences on the health of the populations surrounding the fumigated fields are striking. Collectives have been set up by mothers whose children’s health has been severely affected and life seriously compromised (Madres de Ituzaingó) but also by communities such as the people from the town Malvinas Argentinas who for two years have been opposing and holding back the construction planning of a Monsanto seeds’ factory. At stake is the whole structure of Argentinean economy, which has been based for decades on primary goods’ exportation. Project Details Children out of 30 resulted with high rates of agrotoxins in their blood after blood tests were done. Between 2002 and 2006, 414 934 hectares were deforested double the rate of the period 1998-2002. Out of 5000 residents have cancer in the region presumably due to the cunsumption of glyphosate. In 2015, soja fields extend over 20 million hectares. Development of Alternatives Erradication of soy monocultures, crop rotations, giving up on the use of herbicide and glyphosate. Why? Explain briefly. 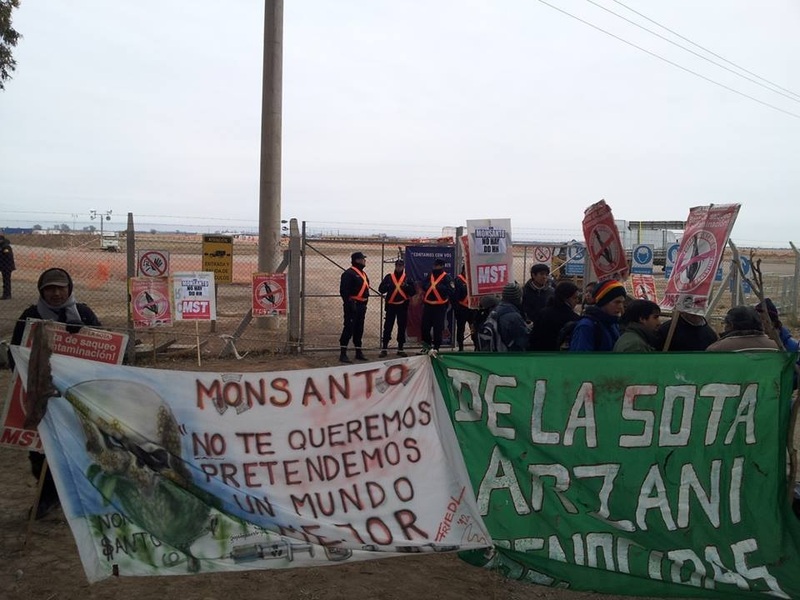 Althought there is a stron movement to stop aerial spraying og glyphosate, and many critiques against deforestation in Chaco and their territories, there has been no compensation or punishment of the corporation responsible for the environmental and health harms. Manifesto on the future of seeds, International Commission on the Future of Food and Agriculture (many languages available).